In the 1960s and 70s humankind believed that by 2014 trips into space would be as common as traveling across the Pacific. Cartoons and movies were full of depictions of space planes that could travel into Earth orbit, dock at space stations or travel to the moon. While we are nowhere close to the future that many imagined for 2014, there has been noticeable progress in many of the sci-fi inspired technologies depicted in various movies and TV shows. Below are five examples of futuristic technologies that are slowly becoming a reality. Commercial Space Travel to the moon is still science fiction. But commercial space tourism closer to Earth is not too far away. Virgin Galactic aspires to launch sub-orbital flights in the near future. SpaceX wants to send tourists into Earth Orbit to dock with a space station. Space tourism is just one of many different science fiction technologies from the late 20th century that are now becoming a reality. Video Phones – were another common theme in the science fiction movies of the late 20th century. Mr. Spacely would place a video call to George Jetson to bark orders at him. The crew of Star Trek would converse with the Klingons using galactic video conferencing. It used to seem so futuristic. But today we think nothing of doing a Facetime, Skype or Google Hangout with a coworker, friend or family member today with our PC/Mac, tablet or smartphone. It is fair to say the video phone technology became mainstream five years to go. 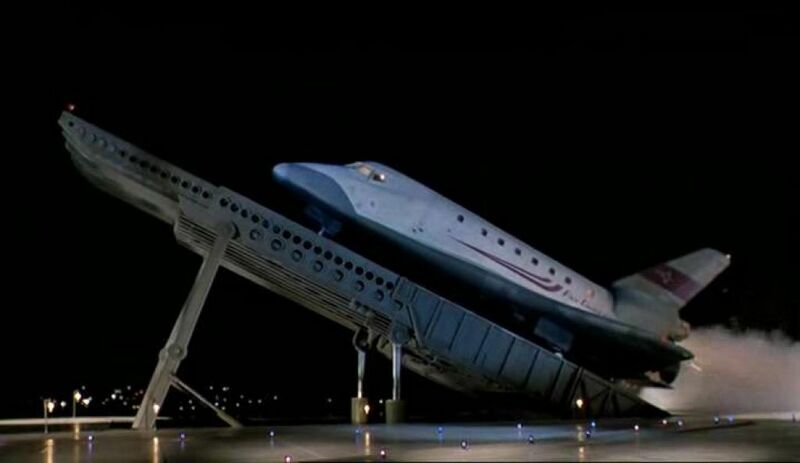 Transporters – Star Trek introduced us to the concept of teleportation. 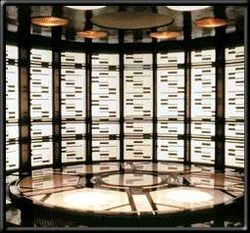 People or objects would step into the transporter room then be converted into an energy pattern, beamed to an alternate location and reconverted into matter. Some scientists in Europe are close to replicating an effect similar to teleportation called Beaming. With beaming a person’s speech and actions are replicated by a robot in a remote location. As the person talks the robot talks. As the person moves the robot moves. It is not true teleportation, but the whole energy to matter transformation process is overrated anyhow. Personal Robots – The Jetsons introduced us to Rosie the Robot. Rosie is seen frequently in the Jetsons vacuuming and cleaning the apartment. While no one has developed an all-in-one robot for house cleaning, there are various robots that can be purchased for specific chores. iRobot has a whole line of robots which will clean your kitchen floor, your pool and even your gutters. WinBot suctions to your windows and cleans them for you. Grillbot cleans the grime and grease from a gas or charcoal grill. Husqvarna even has a robot that will mow your lawn. It can mow hills with at an angle of up to 45 degrees even in the rain. Food Replicators – Star Trek the Next Generation introduced us to the food replicator, which would produce any food item on demand. Specialized 3D printers are now coming on the market with advanced food production capabilities. There are 3D printers which can make a pizza. Choc Edge has introduced a personal 3D printer to create unique chocolate creations. There are reports that Hershey is exploring similar technologies for its factories. There are even 3D printers that will produce different meat variations. In my next post I will highlight five more Sci-Fi inspired technologies that have come to life.